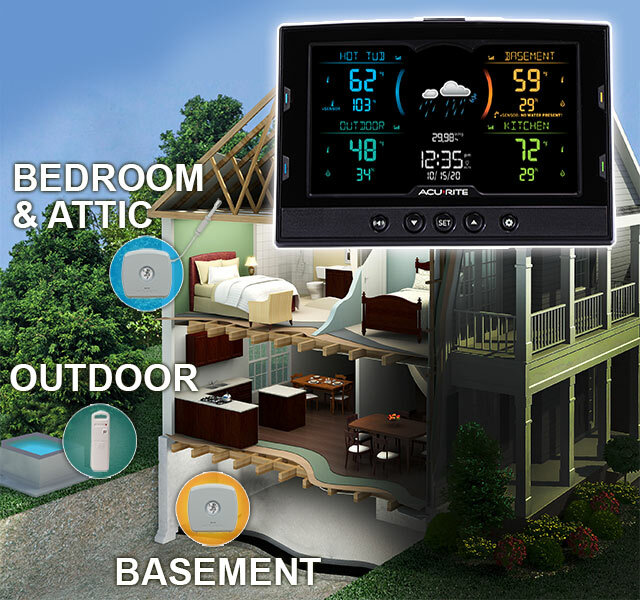 The Temperature and Humidity Station with 3 Sensors includes a color 4-zone digital display, two (2) Indoor Room Monitors, one (1) Spot Check Temperature & Humidity Sensor and one (1) wireless Temperature and Humidity Sensor. 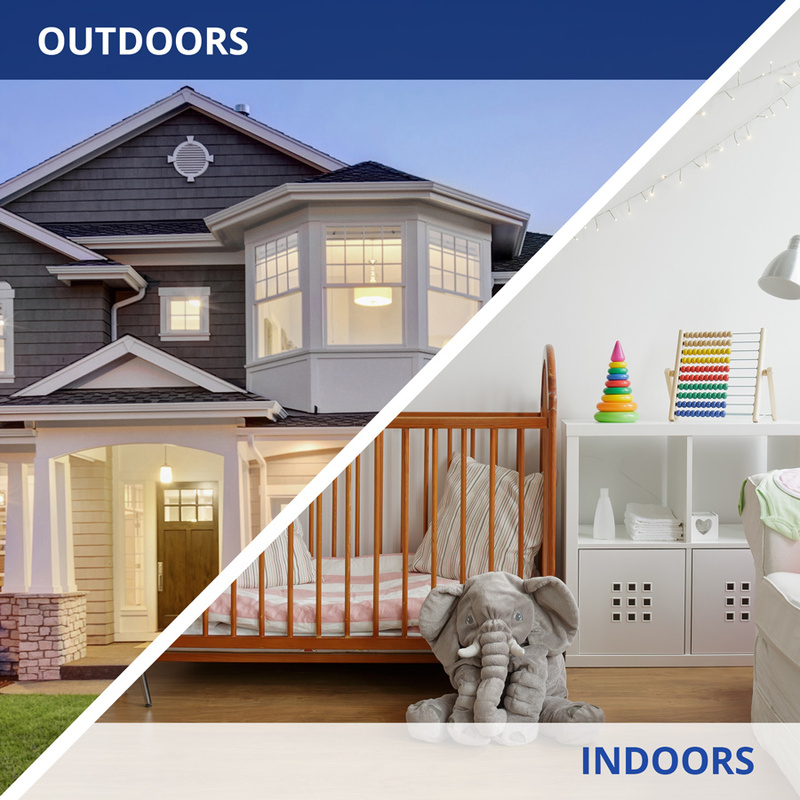 Featuring the ability to measure temperature and humidity in four separate areas, you can see, at-a-glance information to keep your family comfortable, while protecting your residence and its valuable contents. The system also includes one Spot Check Temperature & Humidity Sensor. This wired sensor can be strategically placed in hard-to-reach places (like inside a duct or vent), used to identify drafts around windows and doors, or in an exotic animal enclosure. A home monitoring solution to track conditions in four areas in and around your house. 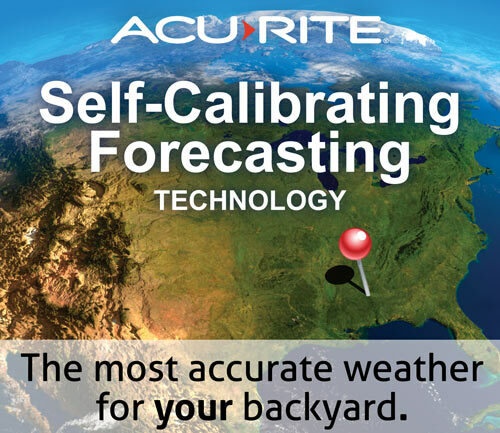 Thanks to AcuRite’s exclusive weather prediction algorithms, you can receive reliable weather forecasts with pinpoint accuracy right from your own backyard. Get the most accurate forecast available for your exact location, and truly plan your day with confidence. Setup is simple! 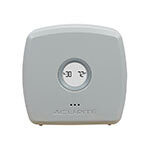 Position the Temperature & Humidity Sensor outdoors for weather forecast information, and position the Room Monitors in other areas you wish to monitor. Place the digital display indoors in the kitchen, office or living room, where its built-in sensors will also measure temperature, humidity, as well as barometric pressure (key for formulating weather predictions). The Home Environment Digital Display, Room Monitors and Temperature & Humidity Sensor are freestanding for tabletop use. The display offers integrated keyholes for easy wall mounting. The Monitors feature several mounting options. . The Spot Check Sensor can be hung, stuck to glass, affixed to a wall, inserted through a hole, duct or vent, or simply placed on a flat surface. 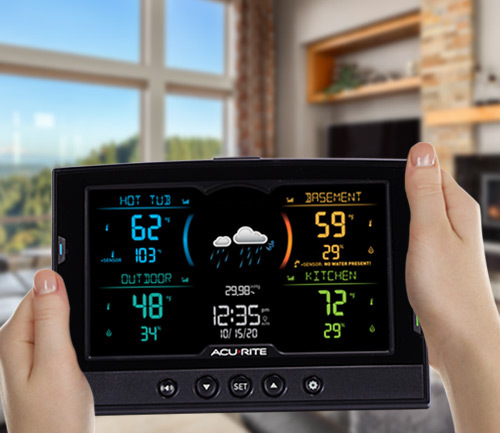 Keep tabs on your entire home environment, and take action if conditions venture out of your desired range with AcuRite’s Multi-Sensor Display with 3 Add-on Sensors + Spot Check Sensor. Includes one (1) Room Monitor for convenient indoor monitoring. Easily install Monitor in the bedroom, basement, attic, nursery, child’s room, bedroom, wine cellar, humidor, sauna, etc. 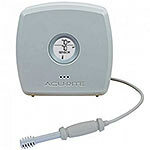 Includes one (1) Room Monitor with Spot Check Temperature & Humidity Sensor. 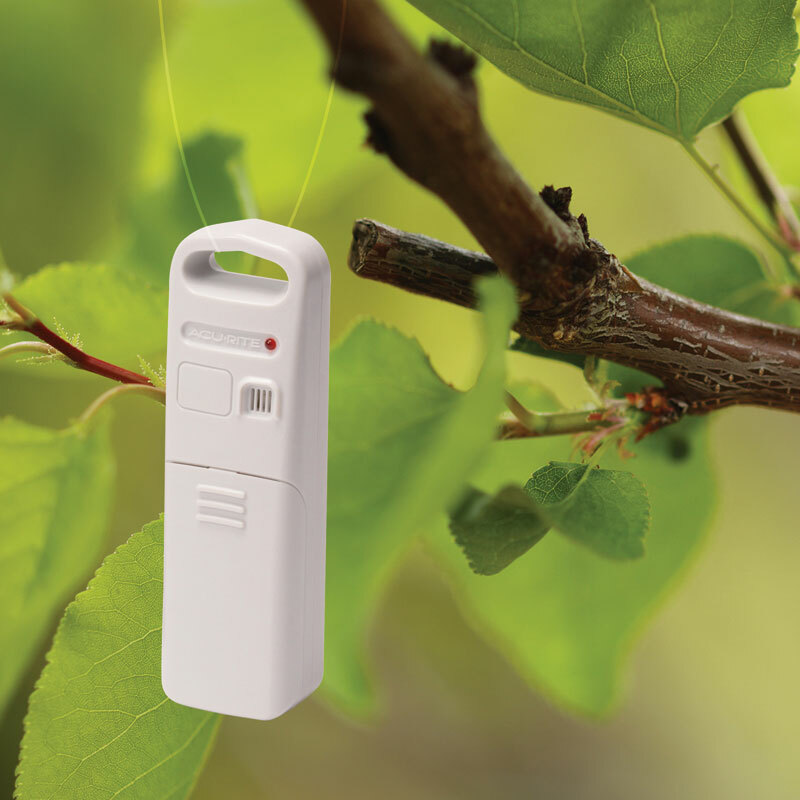 Includes one (1) Wireless Temperature & Humidity Sensor for outdoor conditions.